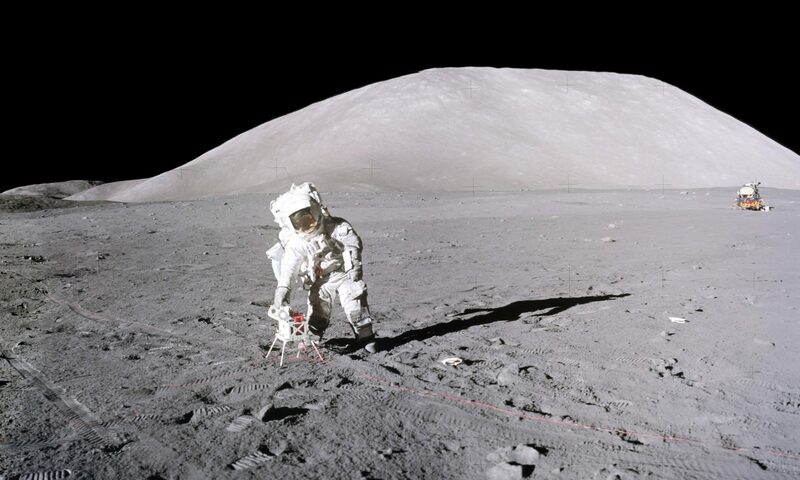 A partial history of Apollo in the context of how on the ground scientific exploration and experiments became major objectives of the Apollo Program after its critical Cold War objectives had been achieved. A chronicle of the separate and largely unrelated paths of Eugene Cernan and the author that culminated in becoming unlikely crewmates for Apollo 17. An account of the first 14 months of training for Apollo 17. Details of the final 30 days of preparation for the Apollo 17 Mission, including a previously unpublished transcription of the crew’s prelaunch conversation with President Richard M. Nixon. A description of the launch of Apollo 17 and subsequent activities and observations through leaving Earth-orbit for the Moon. Activities during flight between the Earth and the Moon, including Schmitt’s observations and forecasts of Earth’s Southern Hemisphere weather over three and a half days. Entry into lunar orbit and geological observations of the lunar surface prior to preparations for a lunar landing. Preparations for Challenger’s descent to the lunar surface and a description of Apollo 17’s approach and landing in the Valley of Taurus-Littrow. First hours after touchdown, safing the spacraft systems in preparation for an extended stay, first views outside the windows, and donning the spacesuits. The author exits the LM to become the 12th man to step onto the lunar surface. First day of exploration begins with the assembly of the lunar rover (LRV); unloading tools and equipment for use in exploring the valley; organization and transport of the ALSEP packages to the deployment site; drilling the core tube holes; the drive to Steno Crater with exploration and sampling along the way; setup of the SEP cross-beam antenna and deployment of the transmitter; return to the LM; close-out; re-entry into the LM; debrief; dinner; preparation for EVA-2; sleep. Second day of exploration including the discovery of volcanic ash, the “orange soil,” at Shorty Crater and the sampling of a fragment of the deep lunar interior. Third day of exploration including the examination and sampling of boulders of materials formed during three major basin-forming impact events. A geological summary of the scientific results of the exploration of the valley of Taurus-Littrow on the Moon. Last hours on the Moon, including liftoff and rendezvous with the Command Module America. Continued geological observations from lunar orbit. Departure from the Moon for Earth and activities during flight home. Preparation for entry into the Earth’s atmosphere followed by entry, splashdown and recovery in the Pacific. Review of a variety of domestic and international visits as Apollo 17 represented the United States and its space program. Copyright © by Harrison H. Schmitt, 2017. All rights reserved.